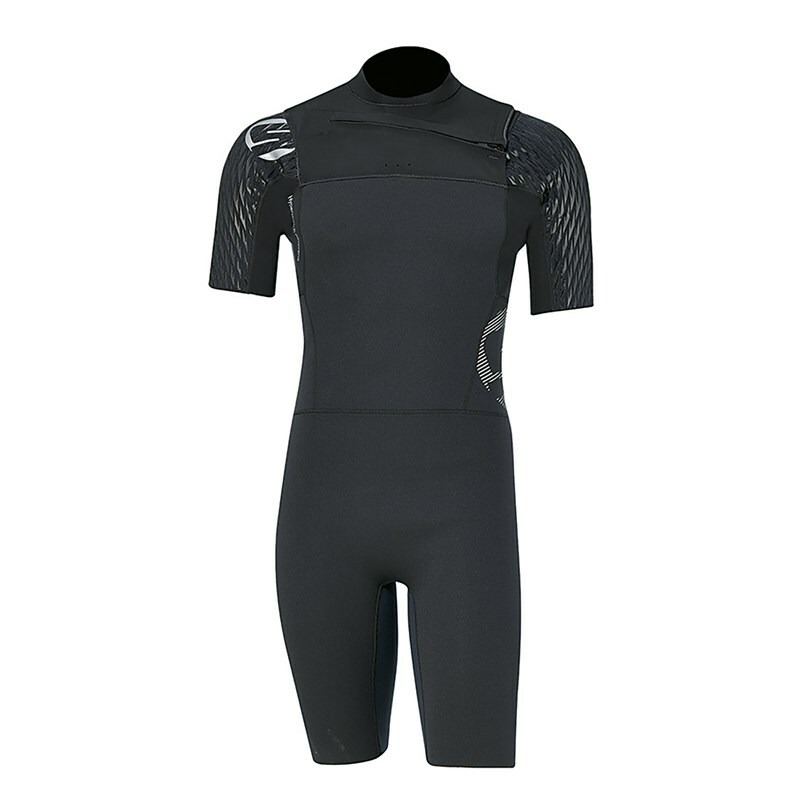 Short wetsuit made of 2 mm neoprene and 4-way stretch fabric at underarm, sleeves, lumbar, crotch and collar for more flexibility. Front upper zip entry with drain holes. 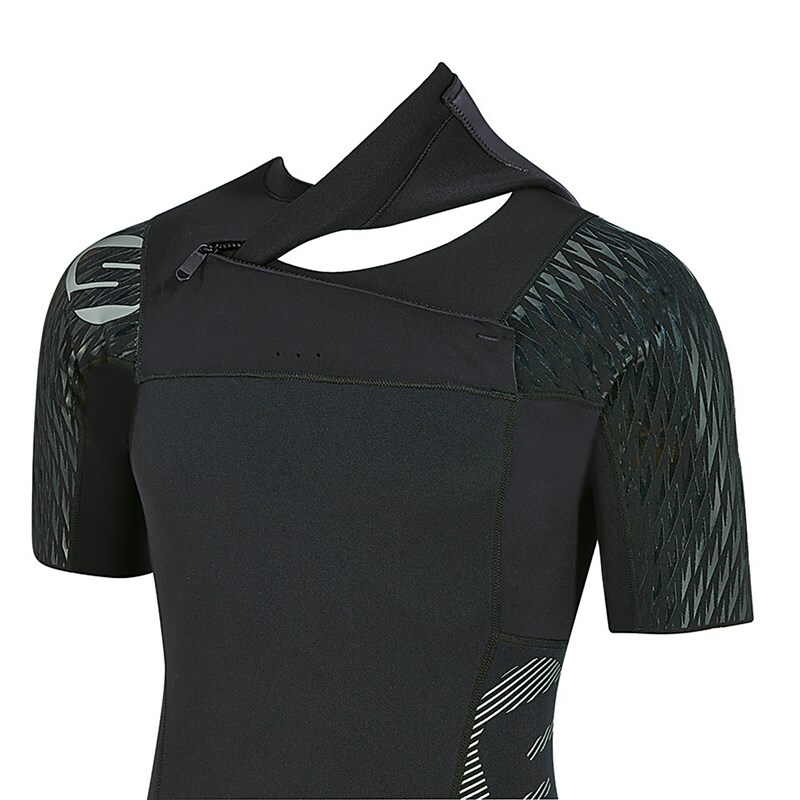 Ergonomical shaped mock neck collar and back bottom legs. Raw edge sleeves, legs and collar openings for comfort.